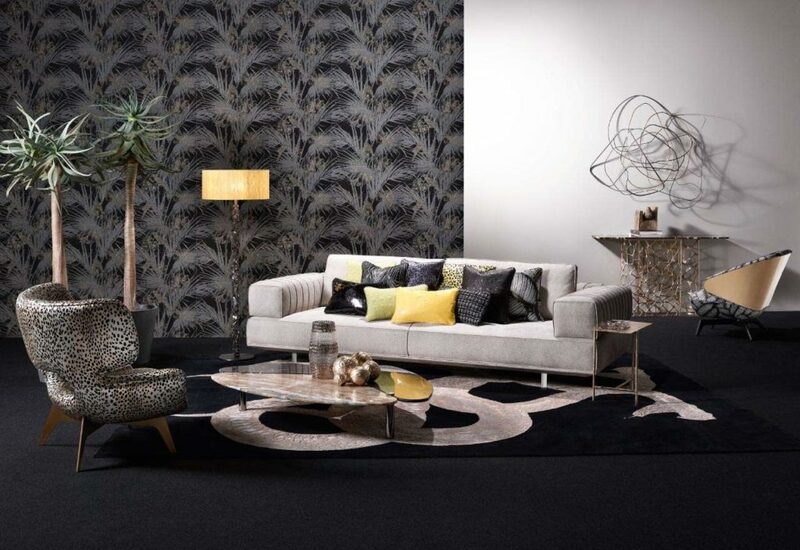 Roberto Cavalli Home Interiors is inspired by the iconic prints and patterns of the most representative collections of the fashion house: a galaxy of vivid colours, precious textures and beautiful patterns, mixing and overlapping bold animalier prints and softer embroideries, sculptural shapes and irregular lines, urban taste with natural elements, such as rocks, flowers and lush jungles. 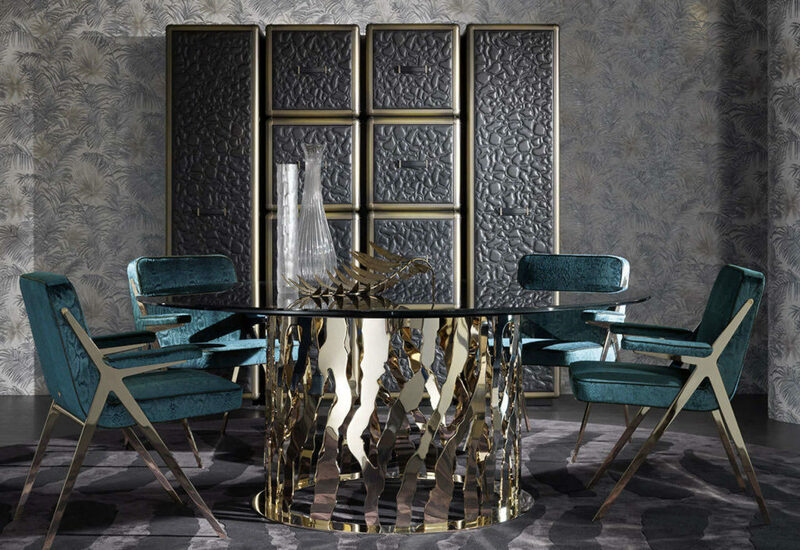 Utmost care and attention are devoted to the choice of fabulous materials to create luxurious, eclectic settings that become the emblems of a unique style. Discover beauty, sensuality, passion: the evolution of luxury in a powerful and energic mix with a wild and distinctive charm. 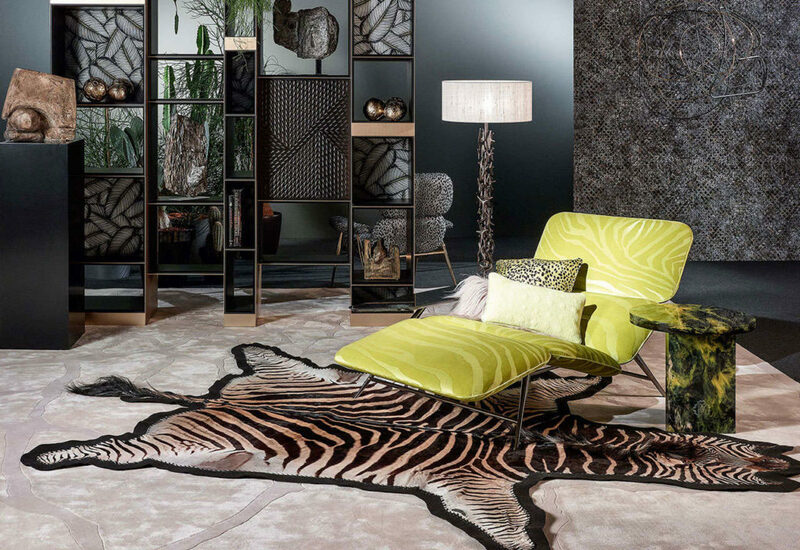 Inspired by the iconic prints and patterns of the fashion Maison, Roberto Cavalli Home Interiors combines the animalier motives with jungle elements and naturalistic inspirations: a wild universe of vivid colours and precious textures creating glam-chic settings with a unique style. Contemporary lines and vintage references for the Aruba sofa, available in 2 or 3-seater versions or modular according to customer needs. 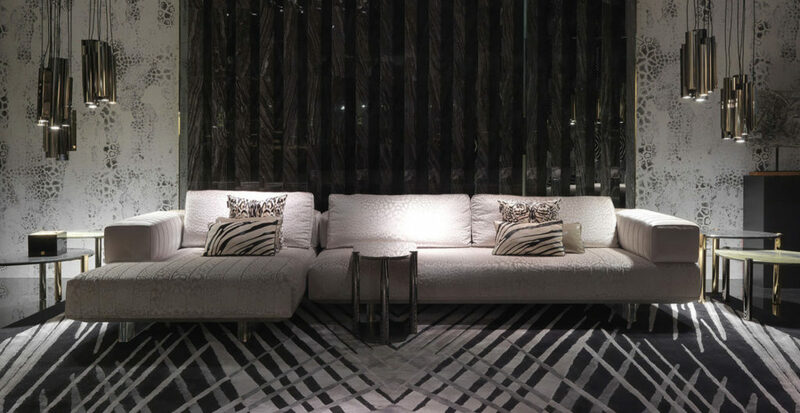 The light legs in transparent Plexiglas give the sofa a touch of 70s style while the processing of the armrests that incorporates the typical stitching of the Cavalli leather goods adds a refined element that denotes the sartorial style typical of the brand.